President Donald Trump calling gang members “animals” is more concerning given the case of local Dreamer Daniel Ramirez Medina, whom immigration officials have falsely accused for more than a year of being part of a gang. If you don’t understand why it is a problem for any U.S. president — but especially Donald Trump — to refer to gang members as subhuman animals, look no further than Daniel Ramirez Medina. Trump is notorious for callously casting all immigrants as undesirable, or worse. 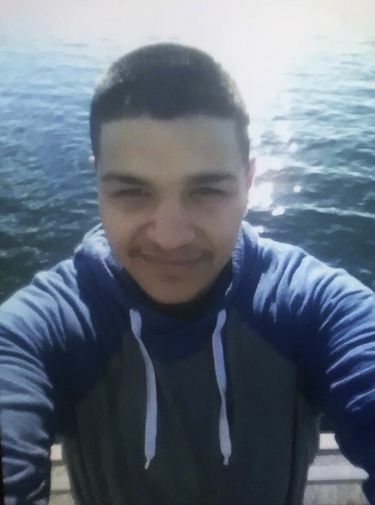 Ramirez, now 25, was about 10 years old when his parents brought him to the United States from Mexico. He was authorized to work under the Deferred Action for Childhood Arrivals program started under former President Barack Obama, which gave certain immigrants who were brought to the U.S. illegally as children a reprieve from deportation. Yet, despite Ramirez committing no criminal offense that would violate the terms of the DACA program, U.S. Immigration and Customs Enforcement agents still arrested him at a home in the Seattle suburb of Des Moines last year. They placed him in an immigration detention facility for more than 45 days and initiated deportation proceedings. All because they said he was a gang member. On Tuesday, a federal judge told the government it could no longer accuse Ramirez of being “gang affiliated” without evidence. Authorities had largely based their allegation on a tattoo on Ramirez’s arm that read “La Paz BCS,” referencing his birthplace of La Paz in Baja California Sur, Mexico. “ … The court finds that defendants’ continued assertion that plaintiff is a gang member or gang-affiliated is arbitrary and capricious,” wrote U.S. District Judge Ricardo S. Martinez, calling the accusation “most troubling.” His order forbids the government from persisting with the unsubstantiated gang-affiliation claim as it persists in its quest to revoke Ramirez’s DACA status. This is the broader context in which, one day later, Trump made his controversial comments about MS-13 members being less than human. Many pundits have criticized media outlets for initially not making it clear that Trump’s comments were specifically in response to a comment about MS-13, a brutal gang that has carried out vicious attacks, including murdering teenage girls with machetes and bats. In this case, it doesn’t appear Trump was referencing all immigrants who cross the border illegally. And yes, this is important context that must be included. This is the deep-seated problem that the Ramirez case throws into sharp relief: It remains unclear whether Trump recognizes the difference between immigrants who are gang members and those who aren’t. Often, he doesn’t seem to care. Even worse, it appears the same is true of the administration’s immigration enforcement agents, judging by their dogged yet unfounded insistence that Ramirez was part of a gang. That raises a real and troubling question: When Trump talks about MS-13 gang members, is he really just referencing violent criminals? Or is he thinking of others like Ramirez, who have come from Mexico and may have tattoos? Trump historically has had difficulty separating groups of immigrants from one another, conflating populations of Mexican immigrants who illegally cross the border with rapists and criminals. He has broadly associated Muslims with terrorism. This, too, is vital context for Trump’s MS-13 comments. While studies show that communities with large influxes of immigrants have equal or lower crime rates than the rest of the population, Trump continues to talk about immigration and crime in the same breath, with a particular focus on MS-13 despite the gang having only about 10,000 members nationwide. That number pales in comparison to the estimated 11 million immigrants who are living in the United States illegally but who for the most part don’t end up involved with the criminal justice system. With this in mind, far too much of the discussion around Trump’s remarks has focused on whether media members are sympathizing too much with gang members, or reaching for excuses to cast Trump in a bad light. The core question should be why a small number of gang members remain a central part of how Trump talks about immigration in the first place. If anything, the Ramirez case suggests Trump and members of his administration are the ones who are too quick to paint immigrants with the broadest possible brush, irrespective of whether the dark picture they are composing aligns with reality.